Barbara and I spoke a great deal about disability and the power of coming out, being proud and as she would say ‘shaking what your mumma gave you’. We would often talk about the negativity wielded against disability and the damning impact this had on people, but most importantly also the power of people with lived experience of disability to challenge and rework alternative understandings. 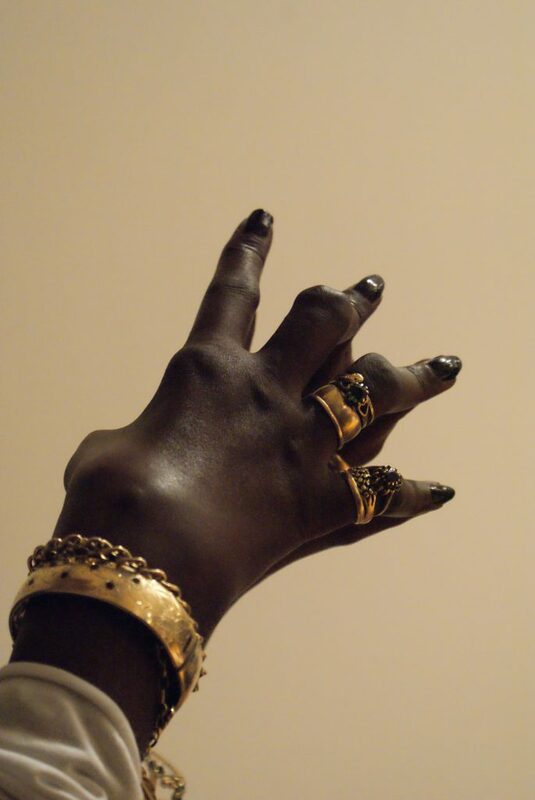 In this way, photo I took of Barbara’s beautiful hands holds so much power and importance for me. At the private view of the photo ‘…so I do the hand thing…’ at the Shape Open Exhibition in December 2014, Barbara and I looked happily on her hands displayed on the wall and she told me of the many difficult conversations she had had, and had resisted with people about her hands. Barbara really taught me that the problem is not so much about ‘disability’, but ‘the very idea of normal’ in the way it works to suppress the inevitable reality of the body and mind as a changeable and diverse site of experience. In this way, and as uncomfortable in the moment as it may appear to some, Barbara’s utterance ‘…so I do the hand thing…’ reminds us of the importance of unconditional acceptance of how we and others are, at any given time. Barbara’s message being, be proud, be loud and if challenged find your specific way to ‘do the hand thing’.